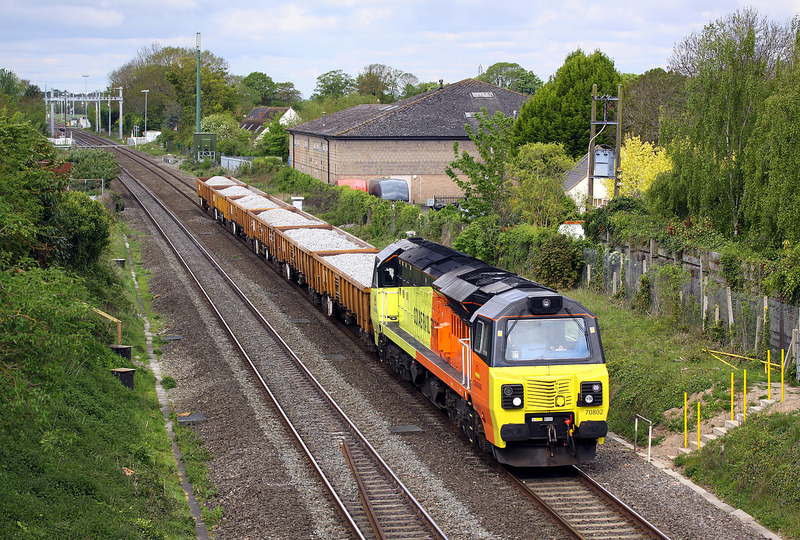 70802 passes Steventon on 25 April 2017 with the 6M50 07:55 Westbury to Bescot, conveying just six JNA wagons loaded with ballast. This is one of the few remaining sections of line between Didcot and Swindon without any electfrication masts. However, they're only a few yards away!